Humor is a universal language. Today, we find humor from many sources. TV, movies, books, radio, and the Internet are just some of the mediums used to offer comedy. But at the turn of the 20th century, the most common way to enjoy humor was to attend a vaudeville show, a variety show that might include comedians, dancers, singers, performing animals, acrobats, and magicians. Much of today's humor evolved from vaudeville, which began to decline in popularity after 1932. 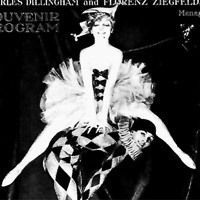 It was at that time that the leading vaudeville theater, the Palace Theater in New York, replaced live acts with film. Does That Sound Like a Chicken to You?